FALLING WATERS, W.V. — In light of National Adoption Month, a West Virginia couple has captured the attention of the nation in recent weeks for their adoption of 29 abandoned and special needs children—and counting. “It’s not for everybody, but it’s what my husband and I feel called to do by our faith,” Jeane Briggs, a Christian, told the New York Daily News this week. Briggs and her husband Paul, who also have five biological children, have been adopting children from around the world since the 1980’s. Their oldest child is 35 and their youngest is 4, and their family nearly circles the globe, hailing from Mexico, Gana, Russia, the Ukraine and Bulgaria. The couple’s adoption adventure began in 1985 following a miscarriage when they learned that their church was taking a trip to an orphanage in Mexico. The Briggs went along, and that’s when they met a two-year-old boy named Abraham who had suffered brain damage after being abused and was blind. 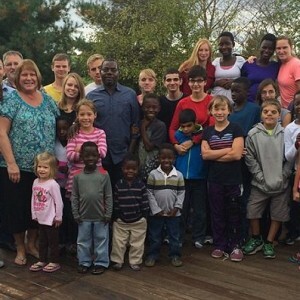 Not only did the couple adopt little Abraham, but they went on adopting other children who just needed someone to love them. The majority of the children that the Briggs have adopted are special needs children, and have dealt with medical problems such as polio, cancer, heart problems, autism and other issues. But the couple says that they are allowing God to determine the size of their family and won’t put a limit on how many that they adopt. The Briggs are currently seeking to adopt two additional children from Ghana, including a baby boy who was born without hands and legs, and was abandoned by his parents. “We’ll just see what God gives us,” Briggs said. She told reporters that all of her children are taught about Jesus Christ.